Prositions Honored With 4 Stevies in 2016 American Business Awards | Prositions, Inc. Prositions Honored With 4 Stevies in 2016 American Business Awards | Prositions, Inc.
Prositions has been selected out of over 10,000 nominations worldwide from organizations of all sizes and in virtually every industry as a quadruple winner for the 2016 American Business Awards. The awards were in the following four categories: Corporate Social Responsibility Program of the Year (for Prositions’ ProVeteran Program), Training (for the Make Mentoring Count video course), Marketer of the Year (Ellen Held), and Product Developer of the Year (Will Wilimek). The ProVeteran Program has been giving back to the community for over five years and includes complimentary access to the mentoring software, MentorString, for every veteran within an organization using the program. The Make Mentoring Count video course is presented by mentoring expert, Dr. Lois J. Zachary, and features 16 short video modules that help employees develop mentoring and coaching skills at all levels within an organization. The awards will be presented to winners at a gala ceremony at the Marriott Marquis Hotel in New York on Monday, June 20. 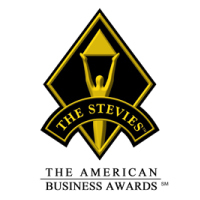 Details about The American Business Awards and the list of 2016 Stevie winners are available at www.StevieAwards.com/ABA.